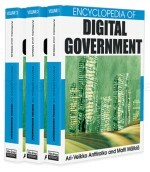 There are many conceptions of e-governance (Malkia, Anttiroiko, & Savolainen, 2004; Reinermann & Lucke, 2002). Our view is that e-governance is about the use of information and communications technology to improve the quality and efficiency of all phases of the life cycle of legislation. In this conception, computer models of legislation play a central role. We use the term “model” in a broad way, to cover every kind of data model of legislation or metadata about legislation, at various levels of abstraction or detail, including full text, hypertext, diagrams and other visualization methods, and legal knowledge-bases using Artificial Intelligence knowledge representation techniques. The appropriate kind of model depends on the particular task to be supported. In this article, the focus will be on the use of legal knowledge systems (LKS) to support the implementation phase of the life cycle of legislation. Legal Knowledge Systems are also known as legal knowledge-based systems (LKBS). LKS can greatly improve the correctness, consistency, transparency and, last but not least, the efficiency of the administration of complex legislation. The rest of this article is organized as follows. The next section explains the relevance of legal knowledge systems for governance. This is followed by a section motivating the use of LKS to support tasks in the implementation phase of the life cycle of legislation and providing a brief introduction to LKS technology. Next, various application scenarios for implementing public policy and legislation using LKS are discussed. Although research on technology for legal knowledge systems continues, it is a mature technology with many impressive applications in regular use by public administration. The article concludes by reiterating its main points and identifying open research issues.